Looking to Play Big? Mammoth Mountain has your recipe for an epic vacation at California's highest resort. Take 3,500 acres of terrain for all ability levels, add 400+ inches of annual snowfall, and top it off with 300+ annual days of sweet California sunshine! At the center of it all, The Village is just a short gondola ride to Canyon Lodge and accessible via the new Ski Back Trial – go straight from the mountain to dinner or drinks! The Mountain Center and The Quicksilver store can provide everything you need to hit the slopes in style. The hub of the shuttle system, The Village is the perfect spot to start or end your day. 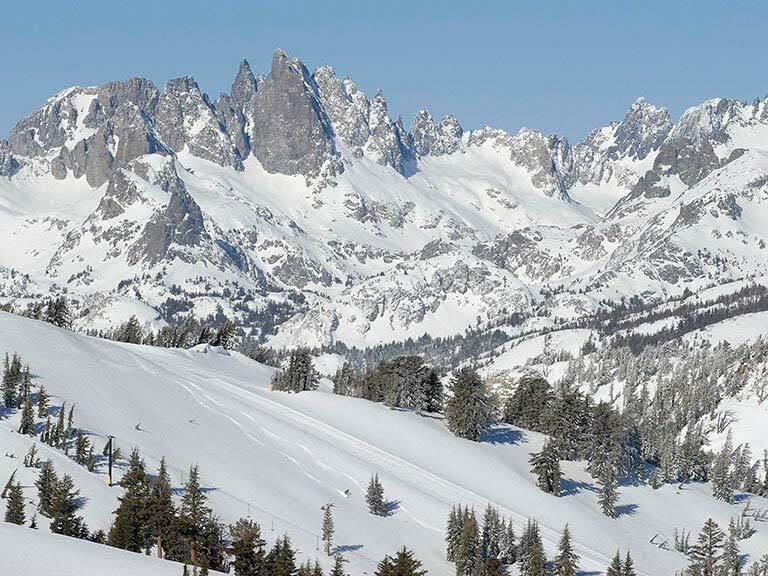 In addition to traditional alpine skiing and snowboarding, Mammoth Mountain offers 19 miles of cross-country and snowshoe terrain, Snowmobile Adventures through the Eastern Sierra backcountry, and luxurious Snowcat Tours with sweeping mountain views. Mammoth has it’s own airport, with direct flights from LA, SF and San Jose, getting here is easier than ever. Since each flight is only about sixty minutes, it's an easy and short trip. If you don’t want to fly from your stopover airport, you can self drive or get a shuttle/taxi or private transfer. Whether you took a quick flight into Mammoth and didn't rent a car or just want to go out for a night on the town and not worry about driving, there's plenty of free public transportation here. Starting early and running late, it's convenient and makes getting around town or to the mountain easy!